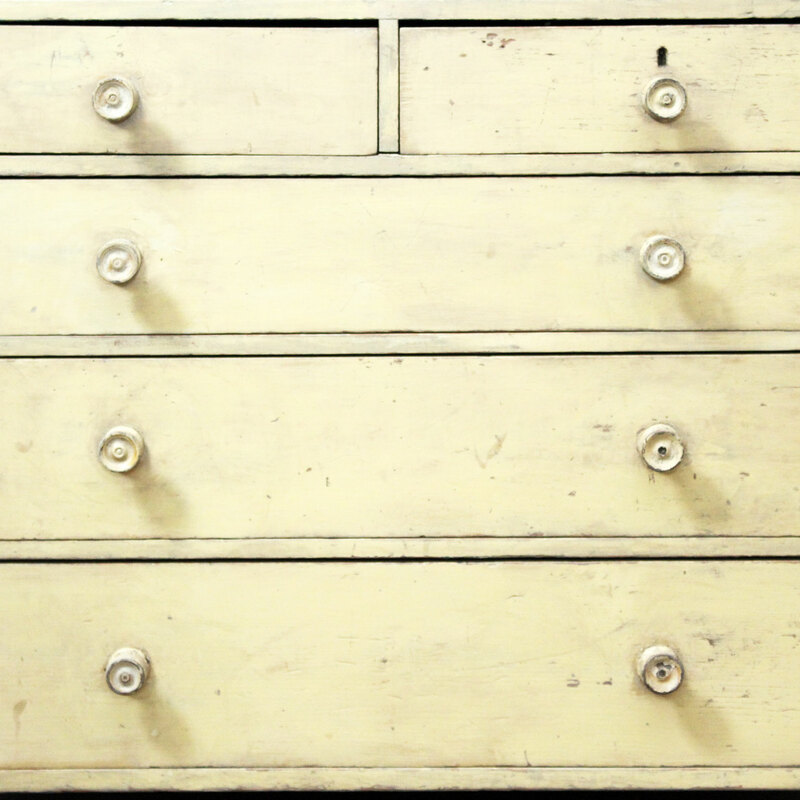 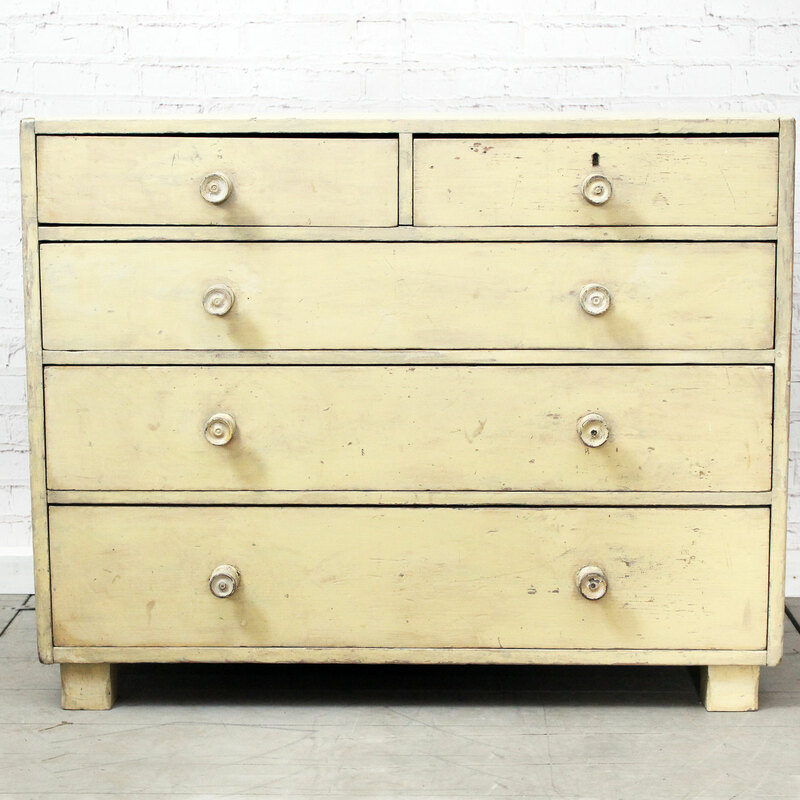 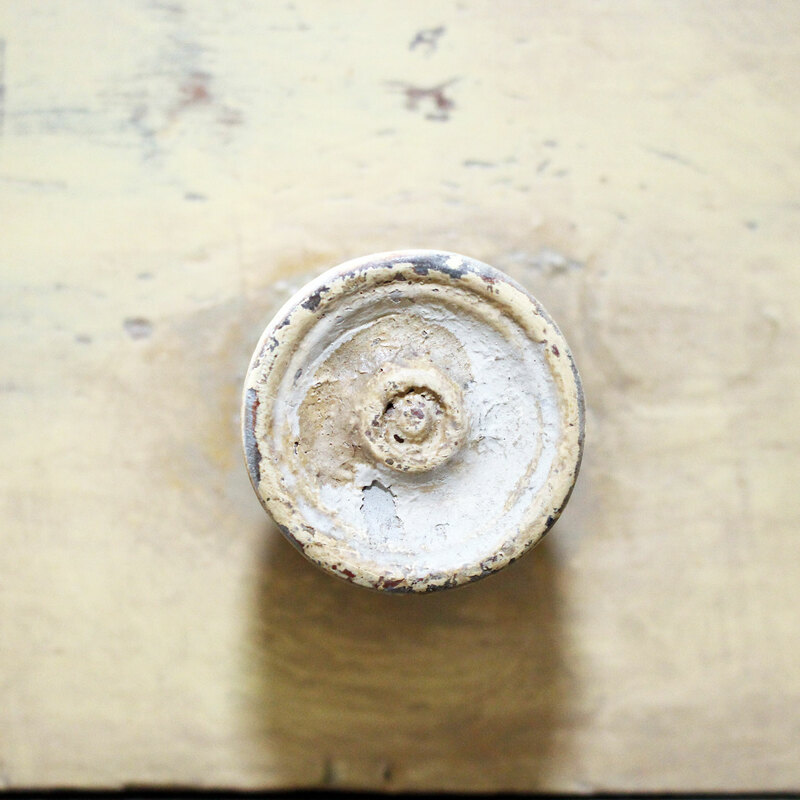 A 19th Century English Painted Chest of Drawers. 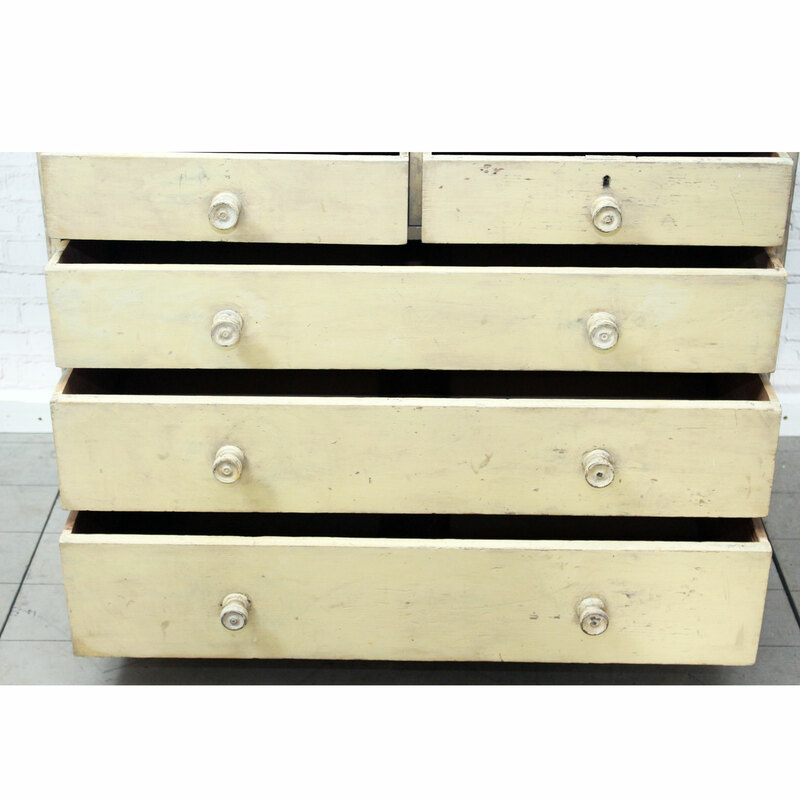 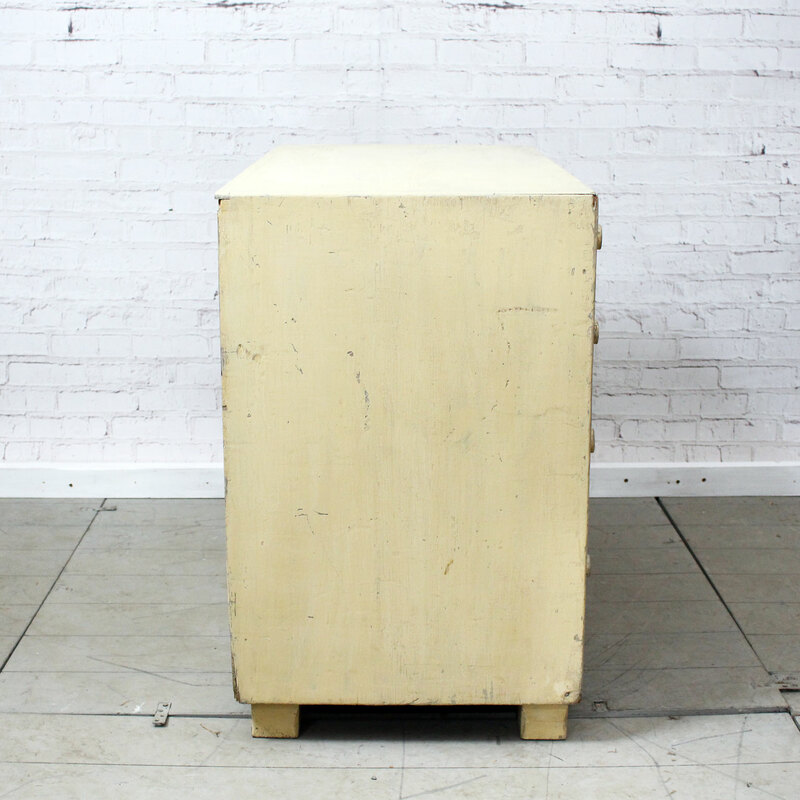 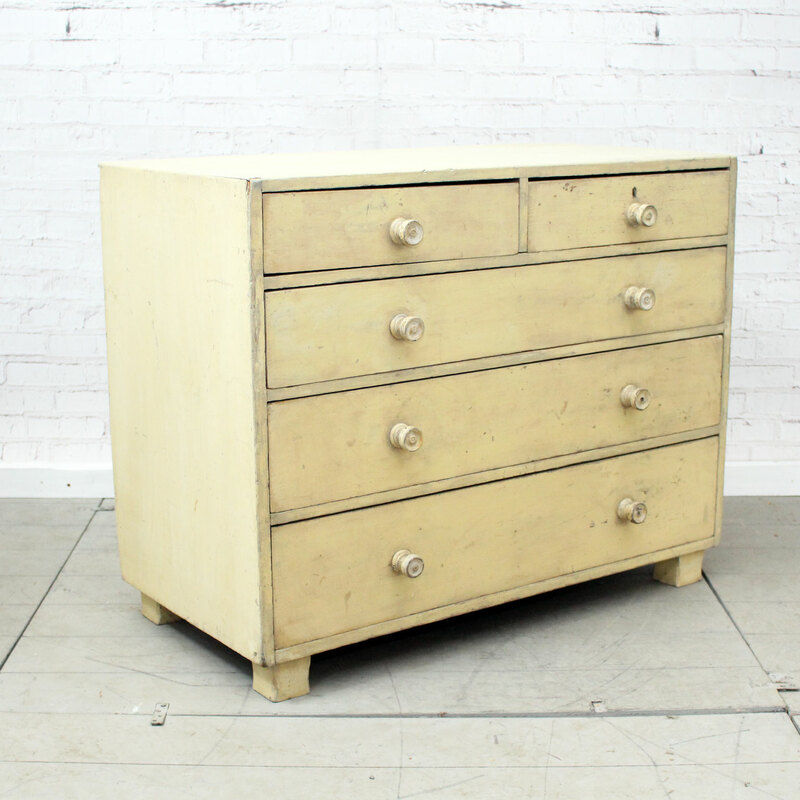 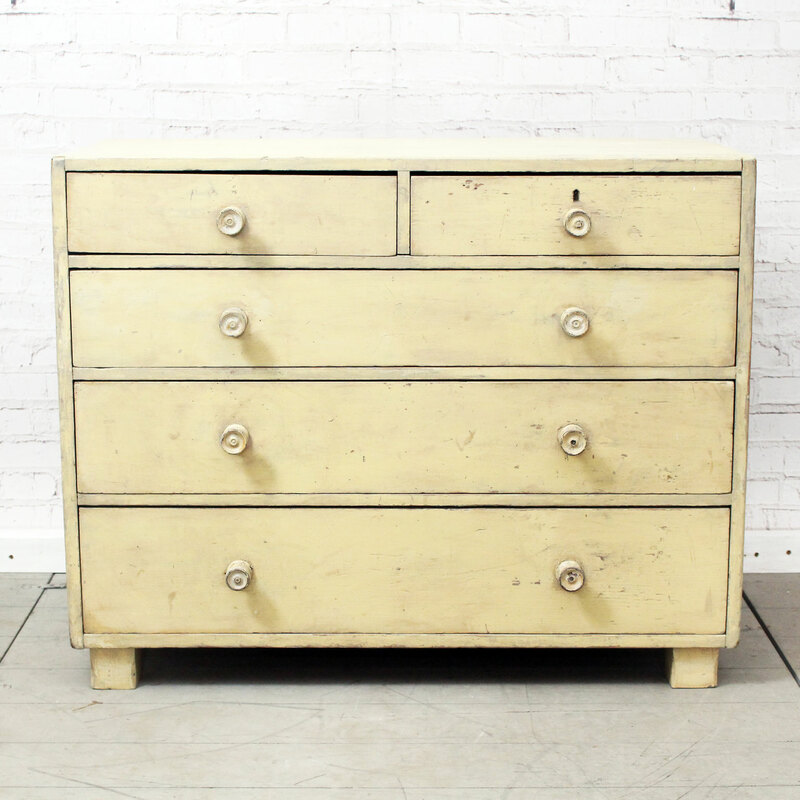 This is tea caddy top 5 drawer antique English chest of drawers has it's original paint and handles. 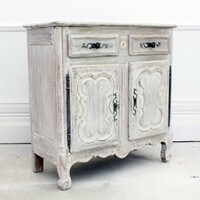 A perfect fit for a bedroom or hallway.